Last week, the Daily Beast reported Rosenstein, along with former FBI Director James Comey and bureau Deputy Director Andrew McCabe, are explicitly named in the memo. The Daily Beast‘s report comes amid the Sessions Justice Department calling on House Intelligence Chairman Devin Nunes (R-CA) to allow FBI officials to review the memo to ensure its release will not harm national security. The second leak is confirmation of what Republican lawmakers have been hinting for weeks; Justice Department officials were instrumental in approving the surveillance of Trump campaign officials. 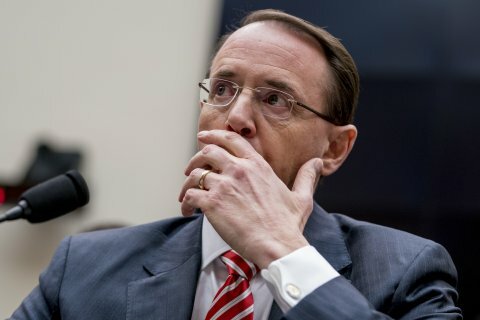 Rep. Matt Gaetz (R-FL) has suggested Rosenstein and demoted Justice Department official Bruce Ohr are both implicated in the memo, having confidently told Fox Business News that the two officials will be immediately fired after the “shocking” document is made public.